Jim Shooter was only 13 years old when he started writing comics professionally—a world record that still stands. He began his career in 1965 writing Superman and other titles for DC Comics. While working his way through high school, Shooter’s renown as a comics creator grew, abetted by a feature article in the nationwide Sunday newspaper insert This Week Magazine. That exposure, along with a great deal of local publicity in his native Pittsburgh, led to his being tapped as one of the creators of U.S. Steel’s legendary "We’re Involved" campaign, for which he developed dozens of comics format ads, posters and even a TV spot. Later, he did custom comics ads for U.S. Steel building products and consulted with San Francisco ad agency Foote-Cone Belding/Hoenig on comics style ads for Levi’s Jeans. In 1976, he was hired as editor of Marvel’s entire color comics line. During his tenure in that position, He collaborated with Stan Lee on the hit syndicated newspaper strip The Amazing Spider-Man. The comic book business was in steep decline in 1978 when Shooter accepted the position of Editor in Chief of Marvel Comics. He was a key figure in the creative and marketing effort that helped revitalize the industry and establish Marvel as the dominant American comic book publisher. He was made a vice president of the company in 1981. While at Marvel, Shooter oversaw a number of custom comics projects for clients including Campbell’s Soup, Kool-Aid, Hostess Pastries, M&M’s and others. He also supervised the creation of a number of educational and instructive comics, including an educational comic book for the National Committee for the Prevention of Child Abuse and a how-to comic for young users of a GlaxoWellcome asthma medicine. Working with outstanding scientists like Stephen J. Gould, Shooter also developed the Titan Science Series for Marvel, a collection of comics designed to dramatize and illuminate scientific principles and theories. In the early 1980’s Hasbro Toys engaged Marvel to develop the concept for a new G.I. JOE toy line. Shooter headed up Marvel’s creative team, which worked hand in hand with Hasbro engineers and marketing executives to create the toys and develop entertainment for all media. The combination of exciting toys with comics and cartoons that dramatized possible play scenarios and imbued the characters with life was incredibly successful. Marvel went on to develop several other toys with Hasbro, including TRANSFORMERS, which Shooter personally developed for all media. Other toy companies such as Tomy, Remco, Ideal, Tyco, Parker Bros. and Bandai quickly lined up to put the power of comics and the skills of Shooter’s creative team to work for them. In the mid-1980’s, with Mattel, Shooter developed a highly successful toy line based on Marvel characters called Marvel Super Heroes Secret Wars for Mattel Toys. The accompanying comics series proved to be one of the best-selling of all time. 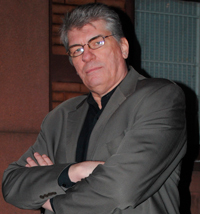 In 1989, Shooter founded his own company, Voyager Communications Inc., publishers of the hugely successful and critically acclaimed VALIANT comics. At VALIANT, Shooter continued to apply his skills to custom comics work, creating comics for MCA Records, Nintendo of Japan, Kentucky Fried Chicken, Kraft General Foods, Tiger Toys and many more. He also developed an informational comics series for MetLife aimed at the low literacy and Hispanic markets and created a number of comics format ads for national advertisers. Among the many properties he created for VALIANT were Harbinger, X-O Manowar and Shadowman. He also redeveloped classic Gold Key Comics’ characters Magnus Robot Fighter, Solar, Man of the Atom and Turok, Son of Stone. Voyager was sold to Acclaim Entertainment in 1993 for $65 million. Since then, both Shadowman and Turok Son of Stone, redeveloped by Shooter as Turok, Dinosaur Hunter have become hit video games. Later, in partnership with Lorne Michaels’ Broadway Video Entertainment, Shooter founded Broadway Comics, which was intended to be a development engine for film and television properties. Golden Books Family Entertainment acquired the intellectual properties of Broadway Comics as well as those of DEFIANT, another Shooter company, as part of its $95 million purchase of Broadway Video Entertainment in 1996. Shooter has done development work for Fox LightFlash and Plan Z Productions; has served as a "concept doctor" for Saban Entertainment; and has created film and entertainment properties for Pantone Color Systems, Inc. and others. He has also written children’s books and live action children’s shows, created fast food premiums and even designed a float and balloon for the Macy’s Parade. From 1999 till 2002, Shooter was head of creative affairs for Phobos Entertainment, Inc., a science fiction film and entertainment company, where he was responsible for creating and overseeing the creation of film, television, video game and publishing properties. Subsequently, as a freelance writer, designer and developer for film, interactive media and publishing, he has done development and "concept doctoring" for ICON Entertainment, and through them, Platinum Studios,(producers of Men in Black); and created an epic, heroic fantasy series TGS, Inc. a producer of Internet entertainment (founded by Rajesh Raichoudhury, a noted Internet entrepreneur and pioneer, a significant factor in the success of Yahoo, Google, Bartleby.com, and other outstandingly successful web-based companies). In 2003, Shooter joined Illustrated Media Group as Creative Director and Editor in Chief. His work for them includes development of a series of "Voice of America" comics for the U.S. State Department.